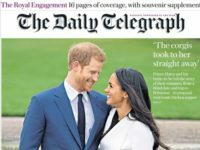 The Telegraph is to invest in 39 new editorial jobs in 2018 as it plans to take its total number of registered readers to ten million. Chief executive Nick Hugh has set out the plan for 2018 in a letter to staff. He said: “Our strategy, with quality journalism at the heart, is registrations-first. We must build greater and deeper connections with our customers at scale. The Telegraph moved to premium paywall model in November 2016 where it started charging for access to much of its content. Since then it has also begun asking readers to register and provide personal information. The plan is to ramp up the rate of registrations next year so that the Telegraph begins gathering more data about individual customers. Hugh said Telegraph content will become “more tailored and sophisticated”. He said: “Our commercial businesses will evolve to become more data-led, with customer relationship management at the heart of everything we do. “We will provide improved, automated and personalised customer journeys as we broaden the scope of our interactions and transactions with our customer base. However, Press Gazette understands no redundancies are currently on the cards. Hundreds of journalists have been made redundant at Telegraph Media Group over the last decade. But new hires have meant that the total editorial headcount has not gone down. In 2017 TMG employed 660 editorial and production staff, according to its accounts. TMG saw a profit drop in 2016 to £32.2m from £48.3m a year earlier. 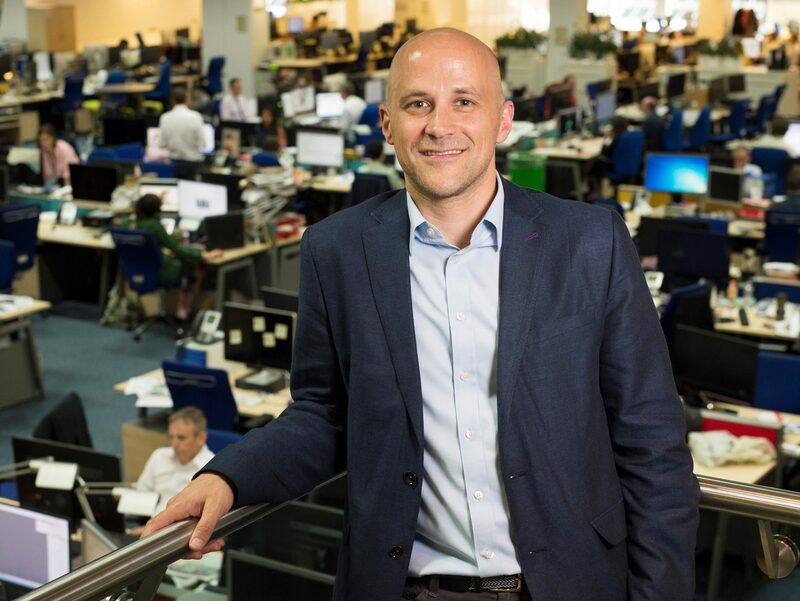 Telegraph editor Chris Evans has also set out his vision for the future to staff. He said: “In an era of fake news, words chosen well are the most powerful weapons we have. “Quality journalism – and the trust which comes with it – is the beating heart of our enterprise, the sun around which all our other activities revolve. “Every day the journalism we create is setting the news agenda, sparking debate, provoking comment, outrage, satisfaction and amusement. Across all our products and across all platforms The Telegraph plays a vital role in society. 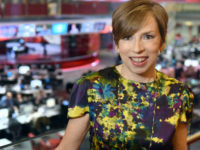 “It is incumbent on us to ensure that we continue to thrive, both for our current audience and for generations to come. “The Telegraph is for everyone but The Telegraph has certain values. We are right of centre, in support of free markets and deregulation. He added: “Our company values are that we are fearless – fiercely ambitious, we set the agenda and lead by example. “We work together, across all departments, are generous with our support and trust, open and unselfish with our knowledge. “We are open-minded, creative and pioneering, and we are not afraid to fail in pursuit of innovation. “We develop our thinking through meaningful, stimulating and honest debate. He said: “Our vision is to pioneer new ways to serve at least 10 million registered customers, bringing them closer to us and to each other. A registered reader – as opposed to an anonymous one – is far more valuable to the business than the vast majority of our audience as it stands now. “The ambition lies not just in the number but in the idea of encouraging registration. “Registration challenges us to ask what would induce people to look for our digital journalism. And registration challenges us to ask what would induce people to dwell longer on it once they’ve found it. It is a strategy that works for the journalism and works for the business. “Initially there will be a special focus allied to investment in the following editorial areas – Politics, Sport, Luxury and Lifestyle, Business of Technology, Money and Travel. “We believe all parts of the editorial spectrum can contribute to our new strategy but have identified these six specialisms as providing us with immediate, tangible opportunities. “Our new strategy will require us to change how we measure success. It will require us to organise our newsroom so that developers, data scientists, analysts and engineers sit alongside journalists. “It will require us to further our use of data, machine learning and other new technologies. And it will require us to train our staff to take advantage of all of these changes and to equip them for the challenges ahead. Let’s hope most of them can write in grammatical English. A few experienced subs and proof readers would also be a good idea as the paper often looks like it has been written by non-English speakers. Shame Nick Hugh didn’t do his homework and study the list of ‘quality journalists’ The Telegraph has shipped out in recent times. Without doubt they were removed because of cost. On what basis is his new recruitment policy based? Unpaid interns?